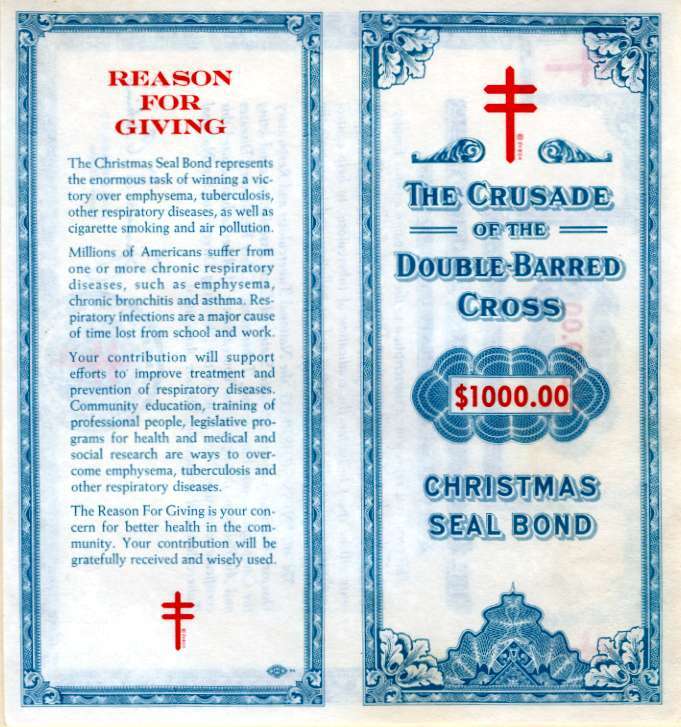 Beautiful Christmas Seal Subscription Certificate from the National Tuberculosis and Respiratory Disease Association printed in 1970. This historic document has an ornate border around it with vignettes of the Cross of Lorraine. This item has the printed signature of the Company’s Managing Director, James E. Perkins and is over 45 years old. 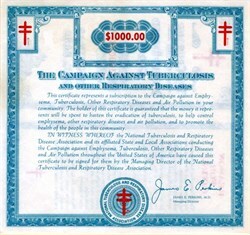 James E. Perkins, 84, former managing director of the National Tuberculosis Assn., now the American Lung Assn. The epidemiologist was part of the first delegation to the World Health Organization formed after World War II and worked for the New York State Health Department as commissioner and director of communicable diseases before joining the tuberculosis association. During World War II he was a senior surgeon with the Public Health Service Reserve.